There's a big, open question mark hanging over the Apple Watch: how long will the battery last? There's a reason why Apple didn't bring it up at all in Tuesday's keynote. The company simply isn't very happy with the battery life on the device. Recode's John Paczkowski says that his sources tell him that the battery life on the Apple Watch is about a day right now. 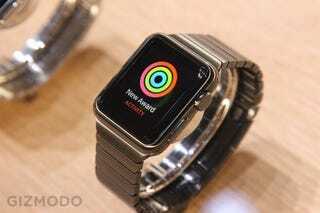 The company is also tweaking and modifying the devices before their launch in early 2015. An Apple spokeswoman would only tell Paczkowski this: Apple expects users to charge the device nightly.